A third of victims aren't very confident they managed to completely wipe out ransomware from their systems. A third (36 per cent) of companies in the UK, that have been victims of a ransomware attack, are not ‘very confident’ they managed to completely eradicate the malware from their systems, according to a new report by Citrix. The report also shines new light on just how prevalent, and dangerous, ransomware attacks really are. 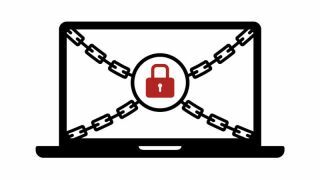 One in three UK businesses have had more than 100 of their devices affected by ransomware recently. Almost half of large businesses have suffered a successful ransomware attack, but despite it, more than 10 per cent don’t have a formal ransomware policy set up. What’s more, almost two fifths of unprepared organisations have no plans on implementing such a policy in the next 12 months. Among the victims, 31 per cent saw 25, or fewer devices, affected, the report said. “Cyber criminals are continuing to exploit British businesses by launching ransomware attacks to remove access to mission-critical data or to make significant sums of money by demanding large ransoms for the safe return of such data,” said Chris Mayers, chief security architect at Citrix.